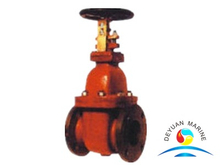 Gate valve,also known as a sluice valve,is a valve that primarily designed to permit or prevent the flow of liquids,the gate faces can be parallel,wedge-shaped etc,it is actuated by a threaded stem which connects the actuator to the gate. 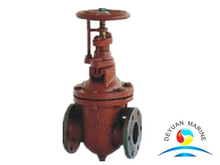 Our gate valve nominal diameter is from 50mm to 500mm at nominal pressure 0.25Mpa to0.6Mpa. 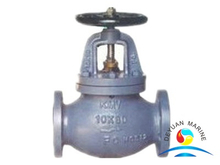 Valve body can be cast iron,cast steel or cast tin bronze,valve stem or nut can be bronze,stainless steel,it is suitable for cold and hot water,seawater,saturated steam,oil and other neutral non aggressive liquids. 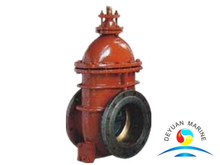 Our gate valves are approved by DNV,LR,BV,ABS,RINA etc,if you any marine gate valve,deyuan marine would be your best choice.